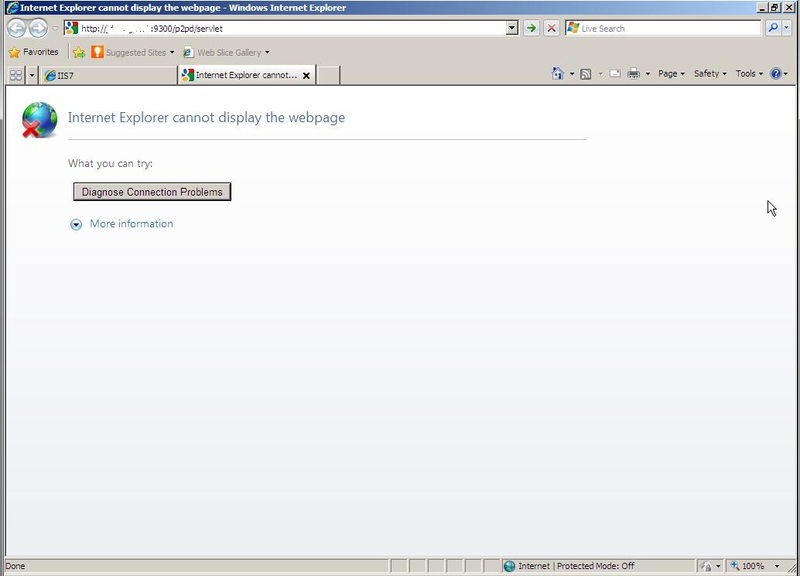 During an installation of Cognos 10.1 on a distributed environment, I ran into Windows Firewall issues. The environment consisted of 2 failover Content Manager servers, 2 Dispatcher servers and 1 Gateway server. I successfully started the first Content Manager server; however when it came to starting the services on the standby Content Manager, the services failed to start. 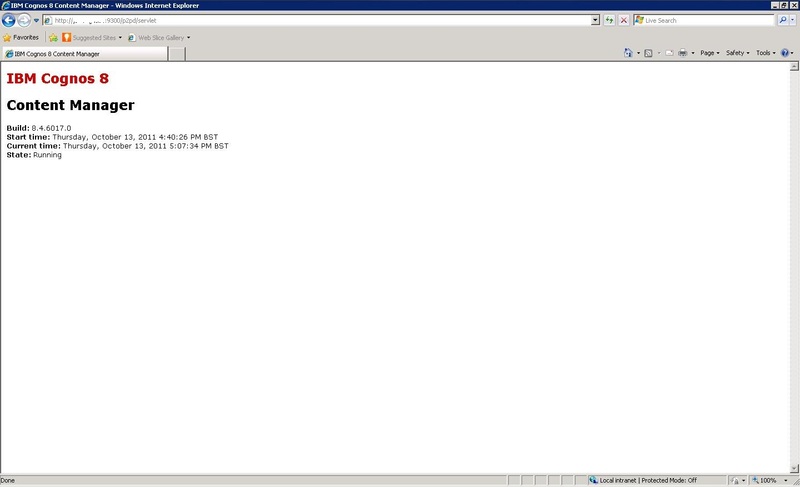 On closer inspection of the Cognos logs, it was reported that the primary content manager could not found. To check whether this was just an issue with this particular content manager server or whether it was affecting the whole Cognos environment, I proceeded to start up each Cognos server one by one and logs on each machine reported the same issue. This really was strange as the active content manager had obviously started up OK and from a Cognos Configuration point of view, each of the servers were configured in the same way as the active content manager but with the corresponding server IP address different for each set of dispatcher URI’s, as you would expect. If we specifically look at the way which the Content Manager is accessed, any communication to and from the server is via port 9300 and one of main methods that can be used to control access to ports is a firewall. In this case, our client was using Windows Firewall on each of the Cognos servers. In the past, Windows Firewall has been a nightmare for blocking specific ports or programs, for example I know that when I’ve installed a new Windows Server box it always blocks Windows Remote Desktop connections. 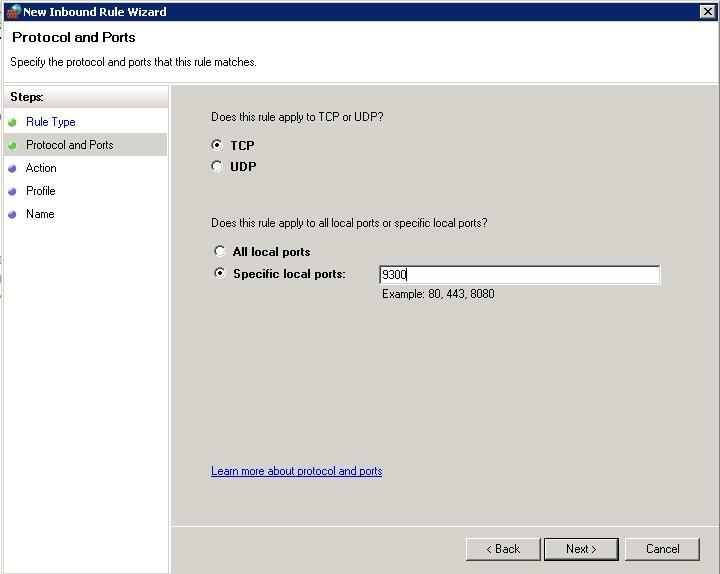 Therefore I added port 9300 as an exception as an inbound and outbound rule in Windows Firewall for Windows 2008. I then tried to start the Cognos services across all servers, Cognos was then able to see the active content manager and the services successfully started!